I have talked so far in this series about how those attached to the Traditional Mass tend to be orthodox in doctrine, and those opposed to the teaching of the Church often have a particular hatred of the Traditional Mass. This is not a coincidence, because an important part of the liberal strategy in the 1960s was to destroy the sense that what the Church had done and taught for centuries had value. Only in this way could the attack on the Church's teaching on issues like contraception - which on the face of it have nothing to do with the liturgy - be successful. In this final post in the series I want to point out another aspect of the connection between the Extraordinary Form and orthodoxy. This is that the ancient Mass not only attracts people who are orthodox, but it creates and sustains communities which are orthodox, and it helps people become orthodox. I have seen on numerous occasions people who discover the Traditional Mass, becoming attached to it, learning more about it, and going on to learn more about their Faith, gradually freeing themselves from the attitudes and beliefs of the wider society, and of Catholic liberalism, which are opposed to the Faith. No doubt this happens with 'conservative Novus Ordo' Masses, but my own experience is that this is more marked with the Traditional Mass, and it is not hard to explain why this should be so. As I explained in the last post, if you want to get Catholics to take seriously the teaching of the Church over the centuries, it is essential to free them from the contemptuous polemic against the liturgical practices which the Church had over the centuries. Furthermore, learning about the Traditional Mass puts you in touch with Catholic authors, of all periods of history, who are passionately committed to the teaching of the Church and to the apostolate. But there is something else as well. The ancient liturgy itself, to use a favourite phrase of Pope Francis, 'makes the heart burn'. He is paraphrasing the account in Acts of the disciples who met Jesus after the Resurrection on the road to Emmaeus. Afterwards they said to each other: 'Did not our hearts burn within us?' One of the interesting things about the story is its liturgical character: the disciples recognised Jesus 'in the breaking of bread'. There are many things which can give people a sense of euphoria, and if you want to feel a bit giddy and superb alcohol and drugs are probably what you are after. What we are talking about is something different. It is not a sense of human community, or the impression made by human achievements, even if these have real value (for example, artistic value). It is the sense of God's presence in the liturgy. This may be accompanied by spiritual consolation, but it is also compatible with a feeling of spiritual aridity, just as some of the great mystics had visions during times of great dryness. You may be able to see God is there even if you don't have a warm and fuzzy feeling. need the liturgy to sustain us most of all during periods of dryness. If our experience of God in the Mass depends on the generation of a certain mood, then it won't happen if we are feeling a bit tired, depressed, or are suffering grief. It can and does happen in the Traditional Mass because of the objective nature of what is happening: precisely because it does not depend on us, because the ceremonies and prayers are about making something happen on the Altar, something which makes Jesus Christ present in our midst whether we feeling pious or not. 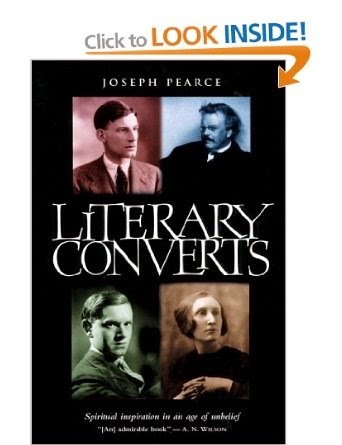 The combination of this objective, ritual efficacy with beauty of the furnishings, music, and of the texts, or with a moment of personal spiritual breakthrough, can have an electrifying effect, and it is a striking feature of many conversion stories from before the reform, many of those discussed, for example, in Joseph Pearce's Literary Converts. Converts today tend not to talk so much about the liturgy, unless it is to admit (as former Anglicans often do) that bad liturgy kept them out of the Catholic Church for a time. 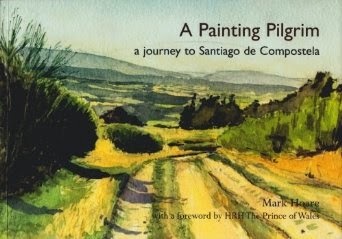 Perusing this book about a pilgrimage to Compostella, which was clearly a deeply significant spiritual experience for the young Catholic author, I was astonished to read that when he finally arrived and went to Mass in the great Basilica, it was an anti-climax. You just don't hear that in parallel accounts from before the liturgical reform. To cite individual cases, of course, shows that something is possible, not that it is typical or widespread. Statistics on these matters do not exist, and comparisons would be very difficult. It is easier to generalise from identifiable movements, made up of identifiable groups, and here a few things are obvious. The Traditional Movement, made up of the congregations attached to the Traditional Mass, is characterised by couples open to children (and therefore large families), by converts and 'reverts' as well as cradle Catholics, by zeal for pro-life causes, and by an astonishing number of vocations. There are eleven young men from England and Wales currently in the seminaries of orders and institutes devoted to the Traditional Mass. Those who wish to minimise the number of people who attend the Traditional Mass will merely succeed in making the number of vocations per thousand worshipers even more stratospherically high than it is. The Traditional Mass draws people to the Church. It draws us further towards a serious attitude towards tradition - obviously - and so to orthodoxy. It draws us towards forms of spirituality which are both realistic and fruitful. It sustains us through the crises of life and gives us the motivation to apply ourselves in the Lord's vineyard in a thousand different ways. In short, it works. Sadly, it is today available regularly in fewer than forty churches in England and Wales. It has not been tried and found wanting. For the most part, it has not been tried. You can hear Joseph Pearce talking about the Traditional Mass and conversion at the LMS One Day Conference on May 24th. The theme is the Traditional Mass and Evangelisation. I broadly agree with your overall analysis but there is a missing piece to the jigsaw (and maybe subject matter for a further post on this subject). If, as you maintain, the traditional Latin mass is such an engine for the promotion of orthodox doctrine and belief, why did it fail to prevent the rebellion in the 1950s and 1960s among clergy and laity who had supposedly been shaped by its spirituality? The problem is, the Consilium and their enthusiasts were NOT shaped by the Tridentine Rite's spirituality. They grew up in a disrespectful scholar's atmosphere that denigrated the usus antiquor because it turned the laity into "dumb and idle spectators"'; because half of its ceremonies were "medieval accretions" that allegedly usurped a purer ritual from the 1st-4th centuries; because it didn't have enough pastoral options to accommodate the needs of the celebrants; etc. All Catholics, Eastern Orthodox, Oriential Orthodox, Assyrian Christians, etc. treated their inherited liturgical patrimony as a valuable treasure. They didn't see errors or dysfunction in the Mass, they saw a work of God to which they must conform themselves to be sanctified. This was upheaved in the 16th century by Martin Luther, who rewrote the Mass in his own image. And eventually the same pernicious attitude won out in the Roman Church in the 20th century, for it was widely seen that the Mass had to be reformed to suit the needs of "modern man". For an account of this pre-conciliar atmosphere, the 'latent' phase of the revolution, see Malachi Martin's book The Jesuits.